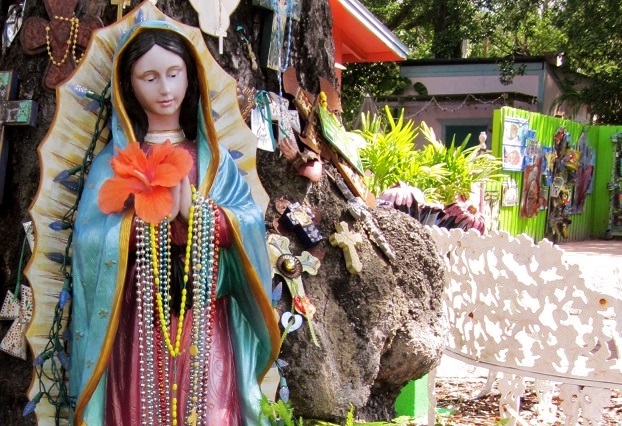 The Virgin of Guadalupe is celebrated on December 12.
all the beings who once were trees. As a fan of Pamela's poetry we recently visited her website — wordsandthoughtspjs — looking for Christmas inspiration. What we found instead was divine inspiration in her poem, I Call Her Esperanza. A poem that befits the Virgin of Guadalupe who is honored December 12th in Mexico. One of Pamela's previous contributions to the Bar None site, Water, Wings and Alliterated Wishes sat atop our Hall of Fame for most of 2015 as the most read submission within the Bar None Group pages. It remains one of our most read offerings as we turn the page on 2016. I Call Her Esperanza is reprinted here with the author's permission.